Speaking in the deep, sonorous voice one would expect of a doyen British hospitality, Stuart Johnson is visibly relishing his return to frontline management. 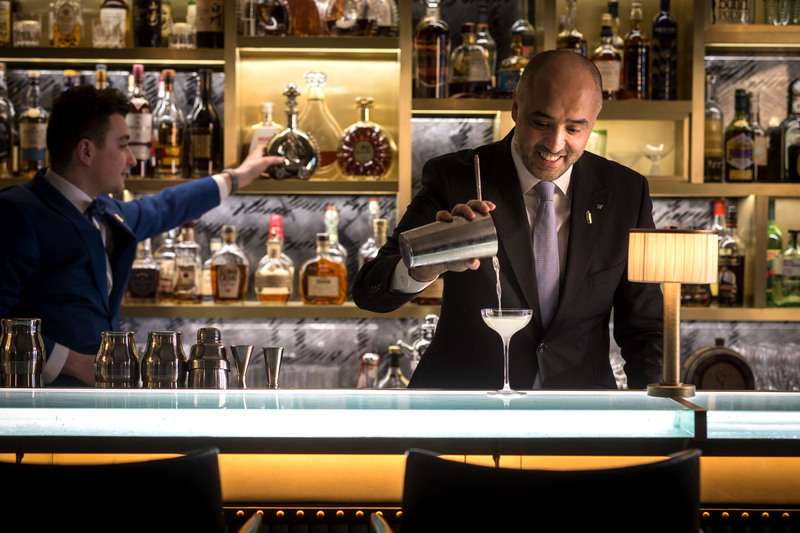 Having served as general manager of Brown’s for 11 years, he has spent the last two on a globetrotting secondment, largely developing the upcoming The Westbund Hotel in Shanghai ahead of its opening next summer. Returning to London full-time earlier this month, he is now back in his natural habitat among the well-heeled guests at this institution of hospitality. “I am delighted to be back here at Brown’s,” he begins as we sit down over coffee in the Kipling Suite. “This is a unique property, the oldest hotel in London; it is looked upon as being the flagship of Rocco Forte Hotels. The place does have something of a history. James Brown, butler to Lord Byron, famously used funds donated by the celebrated poet to purchase 23 Dover Street, gradually acquiring neighbouring townhouses before launching the eponymous hotel in 1837. Today it comprises 11 townhouses on the same site, strung together to form a single property. 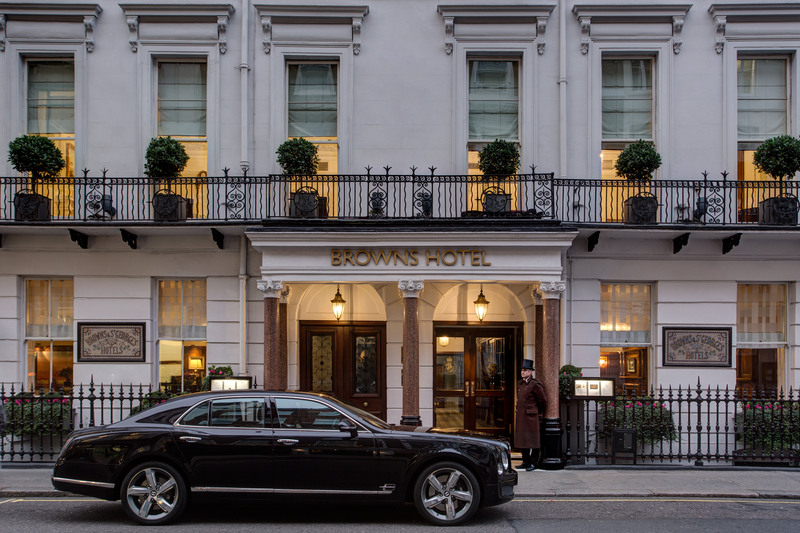 Said to be the first hotel in London, Brown’s opened its doors the same year Queen Victoria ascended to the throne. In the near two centuries since, it has become a London base for royalty and writers, from Pulitzer Prize and Oscar winners to musicians and scientists, explorers and politicians alike. It is from here that Alexander Graham Bell made the first ever UK telephone call; American president Franklin Delano Roosevelt stayed on his honeymoon; and both Agatha Christie and Rudyard Kipling found inspiration for many of their novels. There is also a Hellenic Suite, named in honour of King George II of Greece, who lived at Brown’s for 11 years while in exile during the early 20th century. Other hotels cannot hope to replicate the historic reputation Brown’s possesses. More recently, the hotel has been investing to ensure this storied history is mirrored by contemporary excellence. “We put together a three-year strategic vision for Brown’s during the final year of my last tenure here; we identified that we wanted to take the food offering to another level,” continues Johnson. This ambition has translated to the recruitment of celebrated chef Heinz Beck, who debuted his new restaurant at Brown’s earlier this year. The newly christen Beck at Brown’s, which replaces HIX Mayfair, occupies a completely redesigned space and now has its own separate entrance on Albermarle Street. While maintaining the historic architectural details, such as the original 1900’s oak panelling, the restaurant was transformed by Olga Polizzi, sister to owner Sir Rocco Forte, ahead of the launch. It now offers a casual dining menu of classic Italian dishes, reinvented using the finest seasonal British ingredients, in a sophisticated, if informal atmosphere. The Donovan Bar, too, has also been recently reworked to create a more modern feel. Taking inspiration from the bar’s namesake and close friend of the Forte family, 1960’s photographer Terence Donovan, it is something of a Mayfair institution. Working within the hotel’s classically English architecture, the new colour palette combines British racing green with tones of Donovan’s signature white and grey and touches of gold throughout. The striking bar frames the original 19th century stained glass window of St George as well as displaying the impressive collection of both vintage and non-vintage spirits, wines, champagnes and other tipples. “The Donovan Bar is full of an eclectic mix of people; hotel guests, local residents, shoppers, people falling out of the offices,” continues Johnson. It is this mix of people Johnson sees as being a key to success in hospitality more generally. “Some 35 per cent of our visitors come from North America, London being what it is, this hotel is a magnet for those guests,” he explains. “But we then, over and above that, have a very sensible breakdown of nationalities. “There are hotels in the world that you go into and are struck by the fact that you are an English person and everybody else around you are of a single nationality, no matter what that nationality might be. “Guests have said to us that this is not the case in Brown’s. Upstairs there are 115 luxurious guestrooms and suites, with the three signature suites, the Hellenic, Kipling and Dover, taking pride of place. Each room and suite is individually decorated and many feature antiques and contemporary artworks, creating an elegant and fashionable air. Connected by rickety, warren like corridoes, running the length of the hotel, as well as the breadth from Albermarle Street to Dover Street, the feeling is of a gloriously restored English manor. But through all the change, Johnson is keen to highlight the thread that runs through Rocco Forte Hotels. “We are a unique company in that we, firstly, are family owned,” he explains. “They Forte family are fourth generation hoteliers, who are wanting to provide hospitality. “Of course, they are in business to see an upside in their investment, but this is a family company that is not in it for quick gain. “They wanted to create a unique collection of hotels – we are not a chain, but a series of hotels owned by an individual. “Yes, I am biased, I have worked for them for 14 years, but I believe we are succeeding. As manager, Johnson also stresses that he has a been given great leeway by Rocco Forte to craft the hotel in his image. “I have a lot of autonomy to run the hotel as though I were the owner,” he adds. “We are encouraged to immerse ourselves in the locality in which the hotel sits, and to make that hotel a focal point of the city in which it is based. “Not only are the teams and the general managers of the hotels encouraged to be part of wherever they are, but that the hotels themselves exude the city they sit in. In 2014 Fondo Strategico Italiano paid £60 million for a 23 per cent stake in Rocco Forte Hotels, funds which have subsequently been used to expand the portfolio. The Assila Hotel opened in Jeddah, Saudi Arabia, last year, while the Shanghai property is scheduled for launch in the middle of next year. But the heart of the company remains Italian. “The focus for the company is to become to the leading hotel collection in Italy,” explains Johnson. “There is a second property in Rome, Hotel De La Ville, that will open in the spring of 2019, and we have just taken possession of Masseria Torre Maizza in Puglia, in Italy. “That will close soon for the winter before opening in the spring next year, with an additional ten suites, taking the total to 40. In London, too, Johnson shows confidence in the future of Brown’s. With a new Rosewood property breaking ground, a second Mandarin Oriental, new Raffles and other luxury marquees moving into the market, competition is set to get tougher. But Brown’s is well positioned to compete, he argues. “Competition is healthy, it is healthy because it also helps you to raise your game. “There is a danger, if one is not careful, that you lose your unique selling points and we have a lot of those; a hotel should be committed to those. “There is a market, there are people, who enjoy walking into big splashy hotels where they can be seen; but Brown’s is slightly more discreet. “We are full of people who are here not to be seen,” adds Johnson. Even the prospect of Brexit, and the economic uncertainty surrounding the British departure from the European Union, leaves him unruffled. “If sterling becomes better value for a particular country, then that market is going to go up,” he continues. “What happens when the dollar falls against the pound? We all go to the United States to go shopping. “There is evidence of that happening in London this summer, from what I hear, people are saying ‘wow’! “Bond Street, Regent Street and Oxford Street have been full, bustling. At 61, Johnson seems to be entering a golden phase in his career, running one of the most famous hotels in London, if not the world, and one which he obviously deeply cares for. With plans to redevelop the entrance hall and concierge area in the spring, he is already looking ahead to further improvement at Brown’s. Greeting guests as they arrive for breakfast the morning after our conversation is to see a man very much at home in his role. “This is a hotel that will require a lot of my attention – given its status – going forward,” he concludes with a smile. 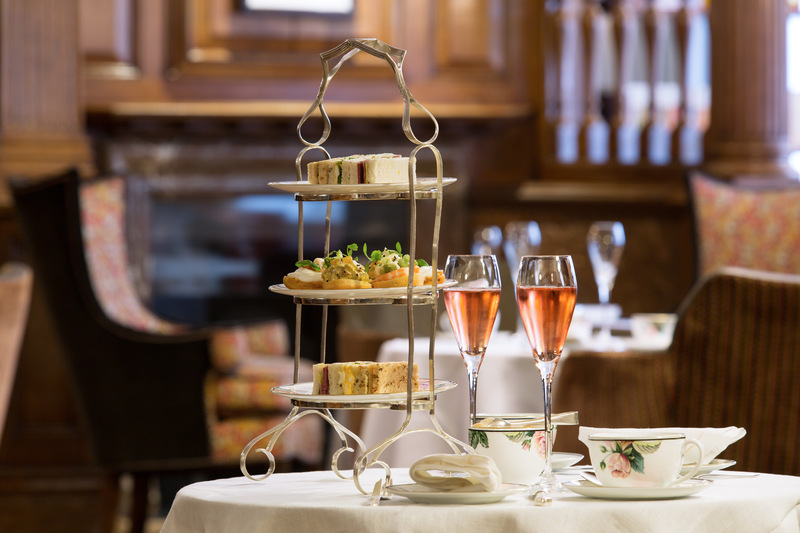 Brown’s is one of London’s most illustrious hotels and has hosted esteemed guests, from royals to presidents. The hotel not only offers a rich history but also outstanding facilities, first-class dining and world-class service in the heart of Mayfair.